Note: click on any image to enlarge. 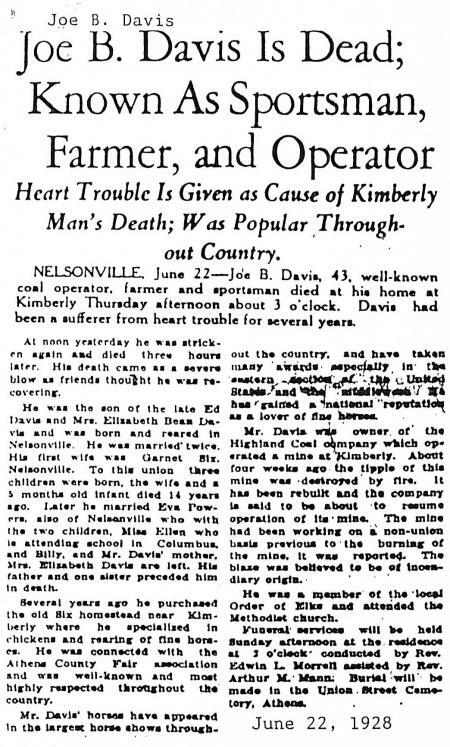 Last week our Throwback blog was about the Flu Pandemic of 1918. It had the potential to greatly affect the coal industry: longwall mining meant the workers would be in close quarters with very poor ventilation for hours at a time. 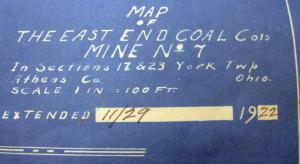 Map and detail: The East End Coal Company’s Mine Number 7 at Kimberly, Ohio, near Nelsonville. 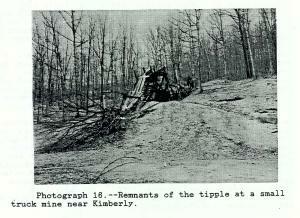 There were several mines in this part of the county that relied on coal seam #6, including Happy Hollow and Doanville. However, according to the above map, this site was tapping into vein #7. 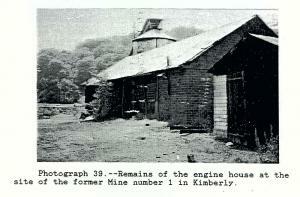 In his 1986 thesis project, Eugene Palka, explains that the Kimberly site developed around 2 drift mines (horizontal mining into the sides of hills) and was operated by the Sunday Creek Company (p. 38). 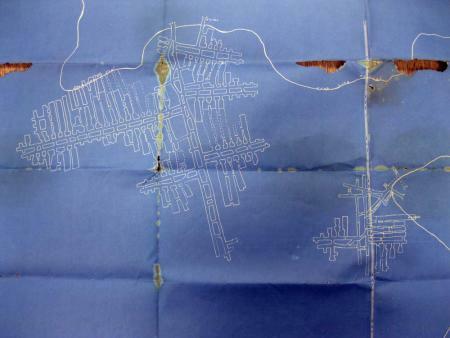 The bottom of our map identifies the mine’s owners as C. Robbins and J. B. Davis. detail: The Kimberly Coal & Land Co.
As a side note, in the 1930’s the community of Kimberly hosted a WPA library collection that was later incorporated into the newly-formed Public Library of Nelsonville and Athens County. Today, Kimberly is mostly known as the location of apartment complexes and home of Tri-County Career Center.